Sharon Lavina Boyd, 60, took the Lord’s hand when He called her home on Tuesday morning, May 26, 2015, at her home with Hospice Care and family. Sharon was born Sept. 4, 1954, to Walter Edgar and Grace (Ras­mussen) Reamer in Holton. She spent her childhood on the family farm and graduated from Holton High School in 1972. Sharon went to Clark’s Business College in Topeka. Sharon married David E. Boyd on Sept. 25, 1976, in Holton. 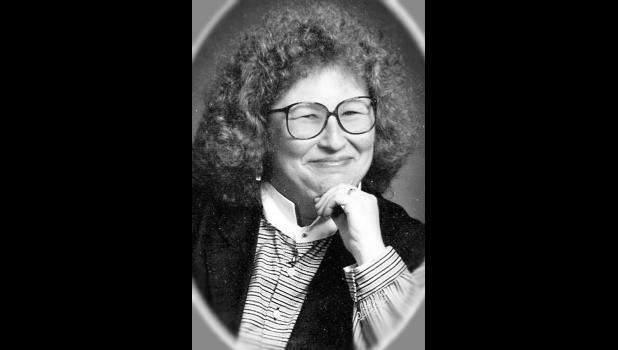 Prior to that, she resided in Topeka from 1975 to 1977, Rock Creek from 1977 to 1980, and moved back to Holton from 1980 to 2008. David and Sharon moved to Montrose, Colo., in 2008 where they made their home until Sharon’s time of death. Prior to Sharon’s retirement, she had spent 34 years working for the State of Kansas as a Secretary. Sharon and David were members of Calvary Chapel. A favorite pas­time for Sharon was sewing and quilting. She had knitted 181 prayer shawls from 2010 to 2014. Sharon made baby quilts for House of Promise, Pregnancy Center and children in the Philippines and Be­lize. Surviving family members in­clude her beloved husband, David, of the family home in Montrose, Colo.; one sister, Mary (Paul) Wil­son of Bacolod City, Philippines; one brother, David (Kathy) Reamer of Holton; and an uncle, Harold Reamer of Holton. Her nieces and nephews referred to her as Aunt Sharon. She was known as a prayer warrior to many at Calvary Chapel. She will be greatly missed by her family. Sharon was preceded in death by her parents. A public visitation for family and friends was held Thursday, May 28 at Crippin Funeral Home Chapel in Montrose, Colo. A fu­neral service was held Friday, May 29 at Crippin Chapel with Pastor Ben Garate officiating. Burial fol­low the service in Grand View Cemetery, west of Montrose. Crip­pin Funeral Home and Crematory, Montrose, is assisting the family.